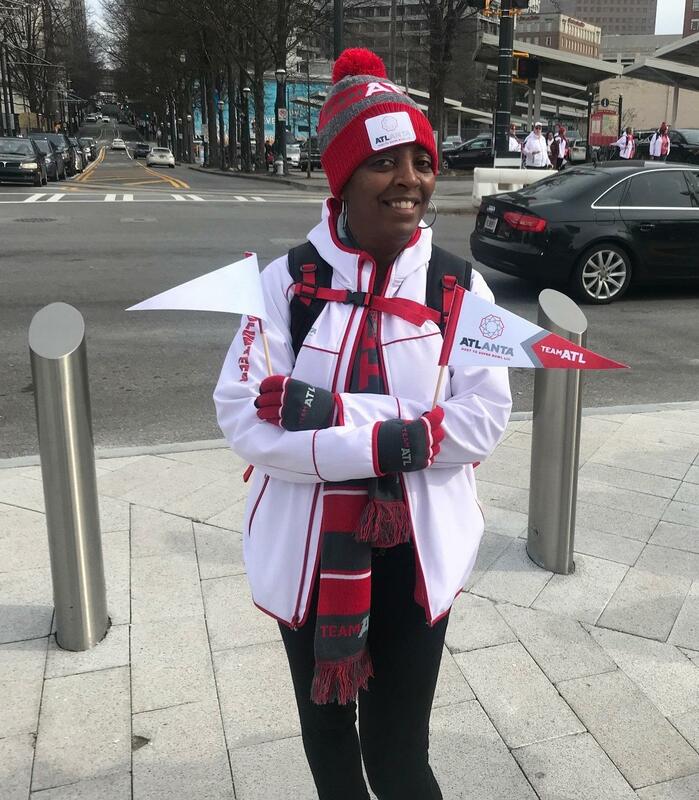 Ashley Washington, Anthony Laidler and Roy Holliman are three of the 10,000 volunteers helping visitors navigate the Super Bowl. "In order to get down to that 10,000 number, we invited everyone to come down for an interview,” Hendrickson said. Some volunteers came from as far away as the United Kingdom and France, and 22 languages including American Sign Language are spoken among the volunteers. They'll be stationed around the city in hotels, at the airport and throughout downtown. Erica Jones is from McDonough. She called the chance to volunteer a "once in a lifetime" opportunity. How does she plan on keeping up her energy interacting with thousands of new faces? "It's the excitement. I'm feeding off the people who are bringing the energy. So, I'm going to give what I get back and give some more." Jen and Mike Driver moved from New Jersey to Dunwoody three years ago. Jen says she's looking forward to the concert series in Centennial Olympic Park, Super Bowl Live but Mike is thinking about eating. "Yeah, I mean Super Bowl Live, that's what we're here for but there's BBQ all around. Gotta enjoy the BBQ, the southern food, everything here. We love the food. Try somewhere, you'll like it." 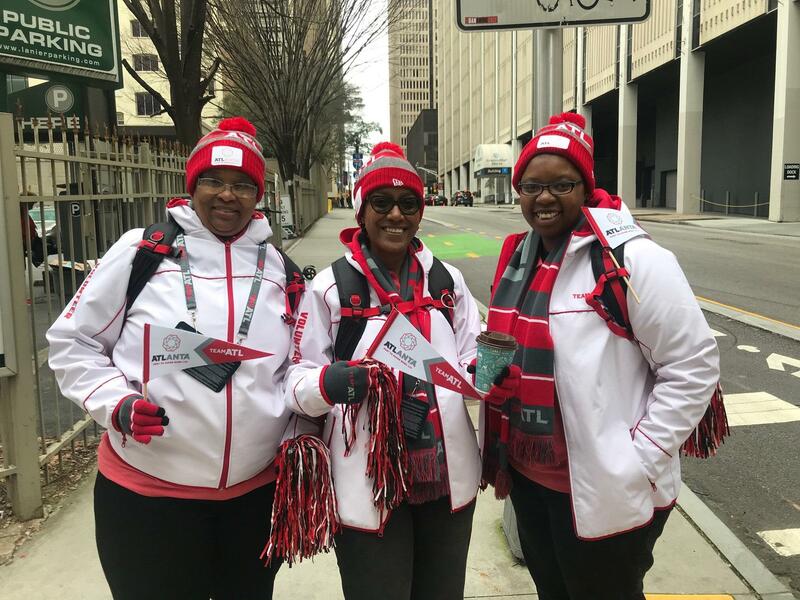 Angela Askew, Sheila Beasley and Angel Askew were positioned downtown, away from the Super Bowl events. Beasley says they rely on each other for fun and Angel Askew gives her top pick for immersing in Atlanta's culture. "We have fun together, so we yell at the cars, when people come up we approach them first, say hi, we do our little cheers.... 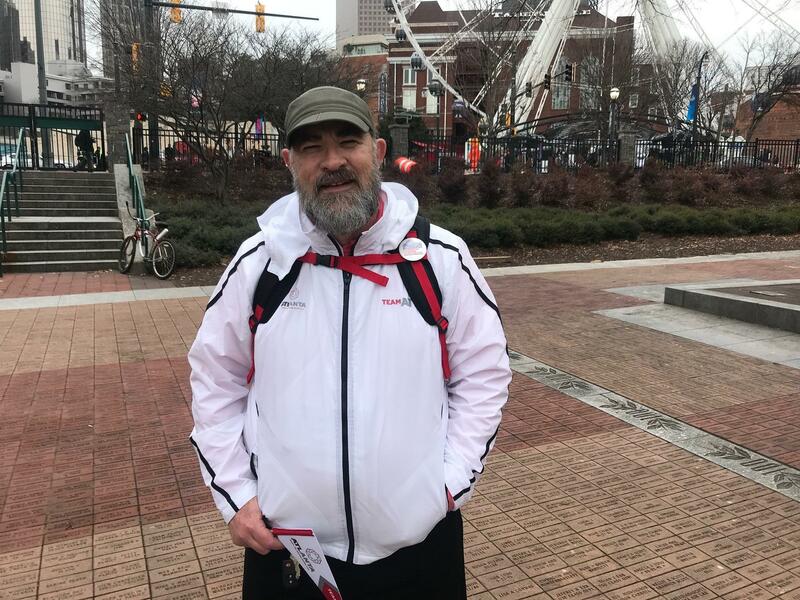 I would say go to Little Five Points because that's a different experience than Super Bowl live, so if you're into different types of music, different cultures, Little Five Points would be the place to go." Robert Ulrich lived in Atlanta for 35 years before retring to Turtletown, Tennessee. He volunteered here for the 1996 Olympics. His two pieces of advice for out-of-town visitors: take public transit and remember Hartsfield-Jackson Atlanta International Airport is the busiest airport in the world. "Without MARTA you will be stuck in a parking lot and also get to the airport extremely early before you thought you needed to get there." 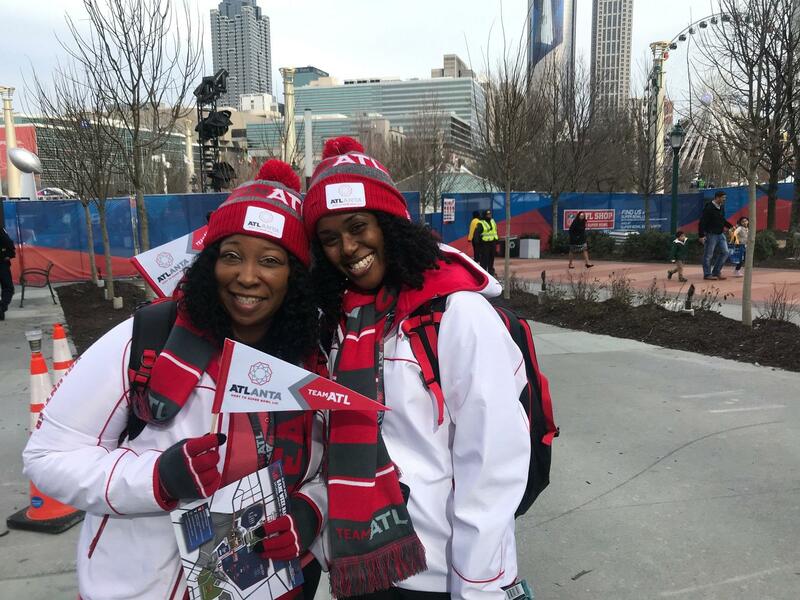 Sharon Williams and Tricia Balenton are each from Atlanta. They both share love for Falcons and are relieved the New Orleans Saints didn't make it. 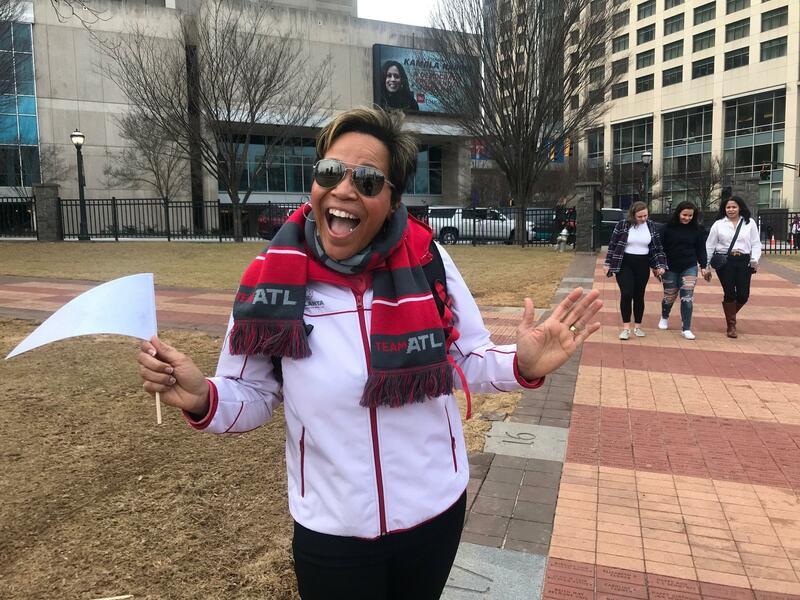 Tricia: "I wish that the Falcons could've been here but since they're not, I'm just going to celebrate with the city and just kind of enjoy the environment that's here." Sharon: "I was about to wonder if I should pass on this volunteering.. I just didn't... but it's more exciting because they're not here." 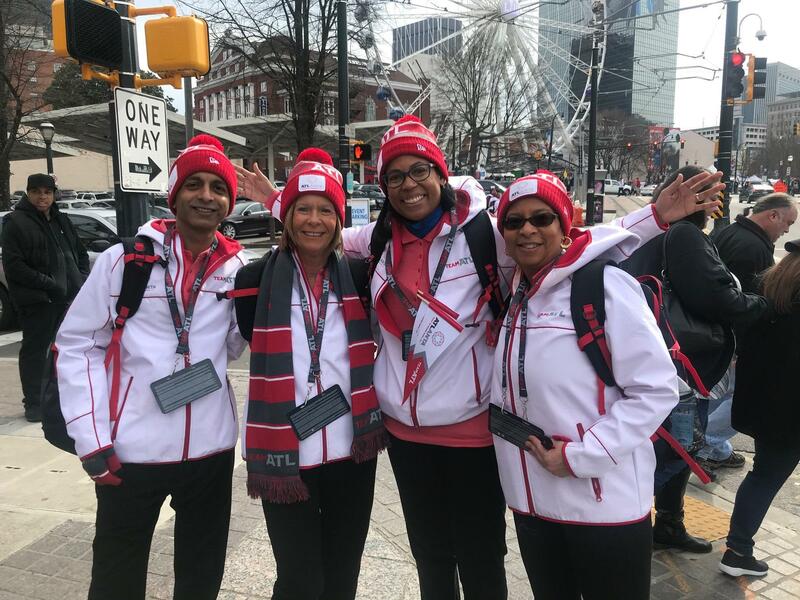 Bunaf Hirkani, Susan Chree, Aisha Wright-Burke and Nina Robinson got involved to show off the city and their southern hospitality. Wright-Burke and Hirkani say this was about repaying the city. Wright-Burke: "When I came here, I was welcomes with open arms. People were always willing to help you find places to go, find places to live, so I wanted to extend that back to people visiting Atlanta." Hirkani: "Same with me. When I came here I had no friends and I've got many friends here so now it's my time to give back." "Volunteer for anything you can. No matter if it's football or just a regular day, feed the homeless, just volunteer. It's always good to give back." The Super Bowl features a matchup of the New England Patriots and Los Angeles Rams. 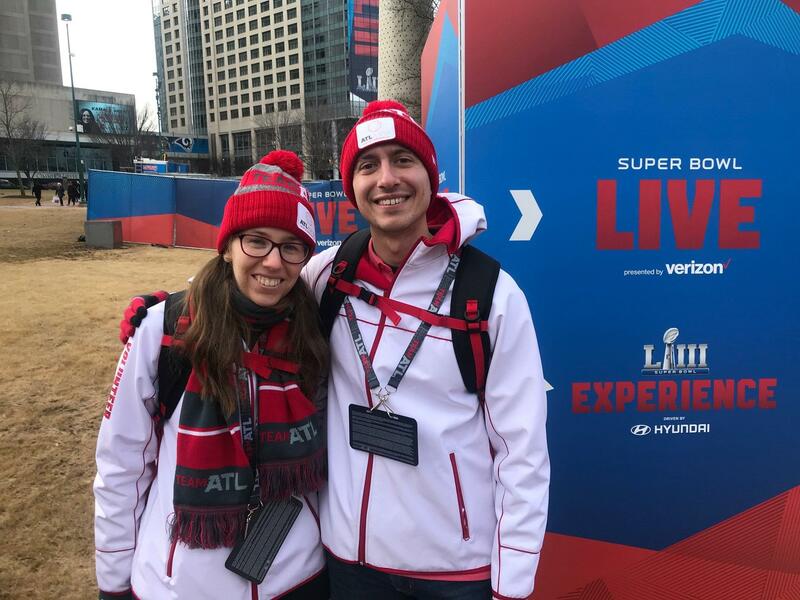 With one team being form the Northeast and the other from the West Coast, volunteers said they'll do their best to show fans southern hospitality.